Peter Barnfield created pictures in a variety of styles and mediums although he is probably best known as an artist for his humorous work which has been widely exhibited and published in magazines. Between 1995 and 2017 many of his images were available in the Steam Pencil range of greetings cards. 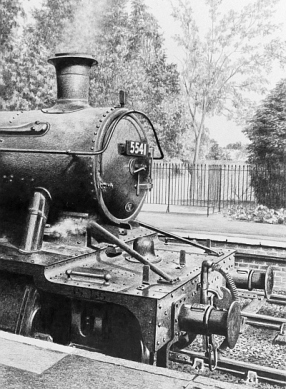 Drawings, paintings and models by Peter Barnfield (1942 - 2018) will be the basis of a railway themed retrospective running from 13 to 28 July 2019. 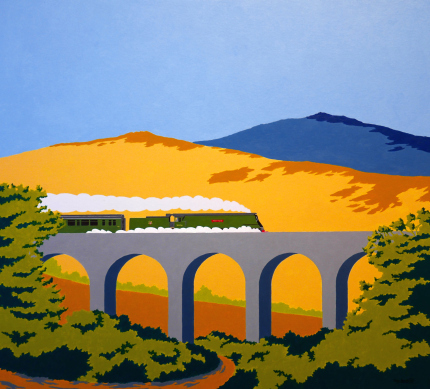 The exhibition will be housed in the Gauge Museum at Bishops Lydeard station on the West Somerset Railway. This exhibition will draw together for the first time around 50 artworks, many now in private collections. There will be a small number of original artworks available to purchase. Admission will be free and the exhibition will be open between 10.00 and 16.00 daily between 13 and 28 July 2019. Ginny Barnfield retains the copyright of all images and they should not be used or reproduced without written permission from her. Site Updated 9th February 2019.